We support groups to learn collaborative exploration and video production skills through a variety of simple games and exercises; developed to support participation by anyone regardless of their literacy level, physical ability, age or background. Each time an action is performed (i.e. something is recorded) the group immediately watches the result and reflects upon the achievement it represents and any challenges they faced. The group then determines how they will respond and re-act accordingly. This pattern of action-reflection-action is integral to our techniques and the overall learning process that participants experience. You can read about many of the games and exercises we utilise in our range of free guidebooks. 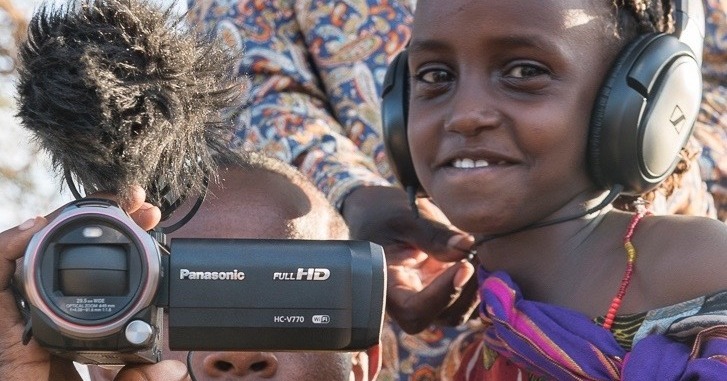 The groups that join our Participatory Video workshops spend long periods of time identifying, prioritising and investigating the issues they wish to tackle. They decide what to say and who to say it to. The group then work together to collectively devise, plan and produce their video(s). Participants film and (typically) edit everything themselves; controlling how they, and their views, are represented. They decide what to show, why, where, when and to whom. Production roles are constantly rotated - from camera operation to director and interviewer - to ensure everyone has equal opportunity to experience all aspects of the process and take key decisions. Discover more about the issues being explored and the impacts achieved on our projects pages. 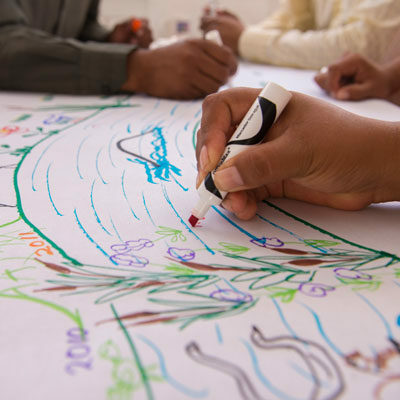 In our projects, participants typically join the process as representatives of their wider community. This might be a geographic community (e.g. a rural village) or a community of experience/interest (e.g. urban gardeners). 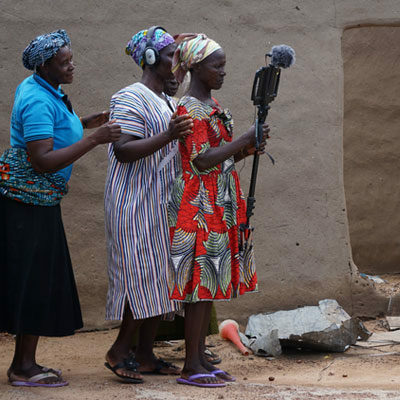 The participants can report back to their community through regular screenings - of rough footage and finished productions - providing opportunities for discussions and alterations to the direction and focus of the process. This ‘call and response’ process helps to build understanding and confidence in the activities by the wider community, and creates valuable opportunities for participants to ground their ideas and test their proposals. 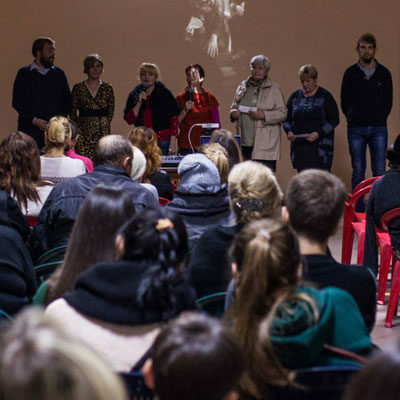 Would you like to know more about organising community screenings? We have written a detailed guide to community screenings. The videos produced through our projects belong to the participants. Depending on the intentions of the group, the videos may be used for a range of purposes: advocacy, awareness-raising, knowledge-sharing, evaluation, consultation, action research etc. Groups typically grant us (the facilitators), and the project partners/funders, permission to share their videos; helping to ensure their voices are heard by the right people. The terms are determined by the participants, which usually allow and encourage free sharing by anyone for non-commercial purposes. 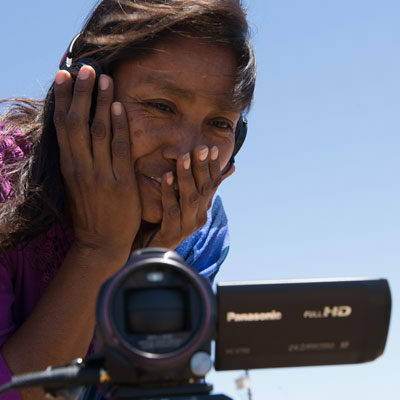 Would you like to watch videos produced by groups around the world on a range of key issues? You can browse hundreds of unique videos on our YouTube channel. To discover more about these techniques, and Participatory Video in general, take a look at our resources section or contact us for a chat.